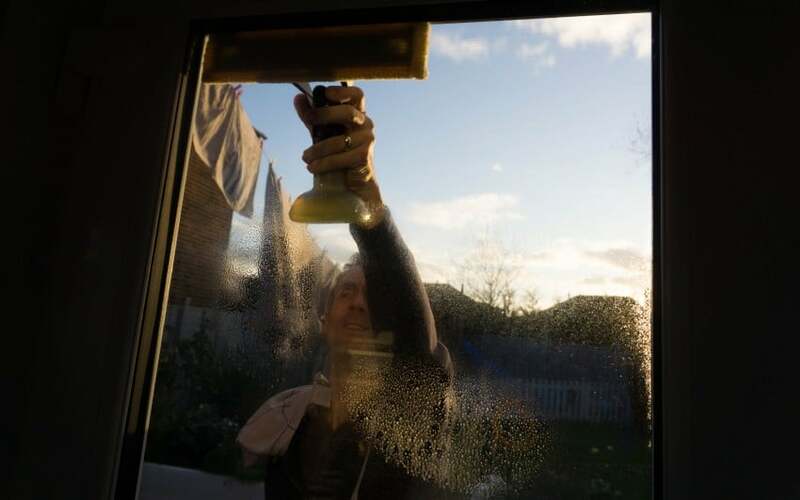 Who enjoys cleaning windows? Not me! When we sold our house a few years ago the estate agents made a point of saying ‘It might be worth getting the windows cleaned’ Oh shock horror!!! But boy once they were cleaned I realised just how bad they had got and I have never let that happen again since. So anything that helps me stay on top of cleaning the windows is a winner in my eyes! 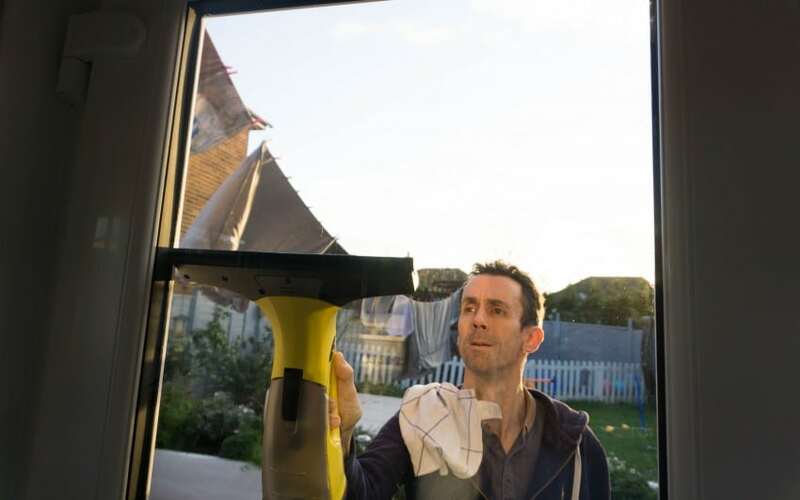 So when I was given the chance to try out the Karcher WV5 Premium Window Vac I just had to give it a go. 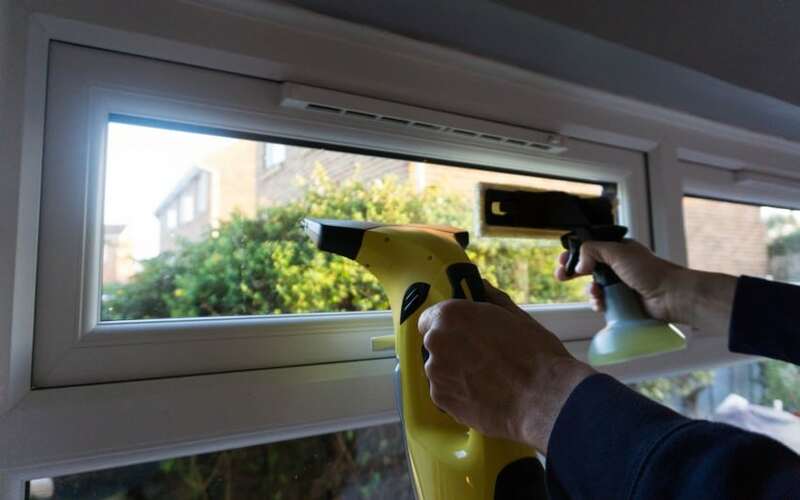 I have seen the Karcher Window Vac before, although I must admit I just thought it was only for windows that suffered with condensation, so hadn’t paid them much attention. I was right, they are used for this, however they are also used to clean your windows too. 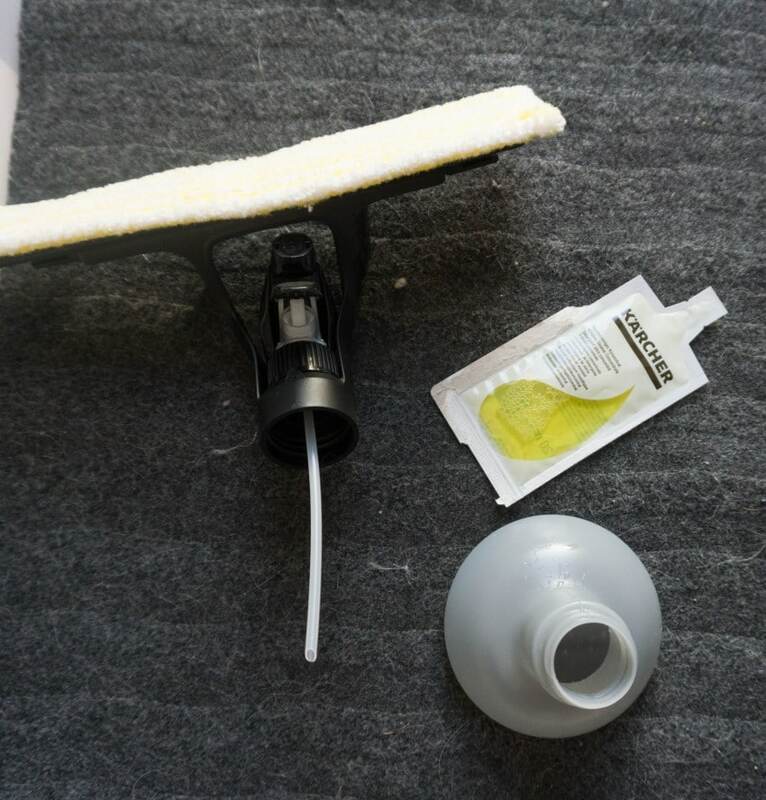 The Karcher WV5 Premium Window Vac comes with a microfibre cloth spray, with a small sample of Karcher cleaning concentrate to use. We have filled up the spray, using what we need and keeping it in the bottle ready to use next time. This is then used to clean the windows with. We have a large dog with a slobbery nose that loves to look out the full glass patio doors! 3 kids who insist on putting their hands on the windows (mostly when it’s just been cleaned!) and just the general build up of dirt on the windows. So this Karcher window vac was going to be put to the test!! 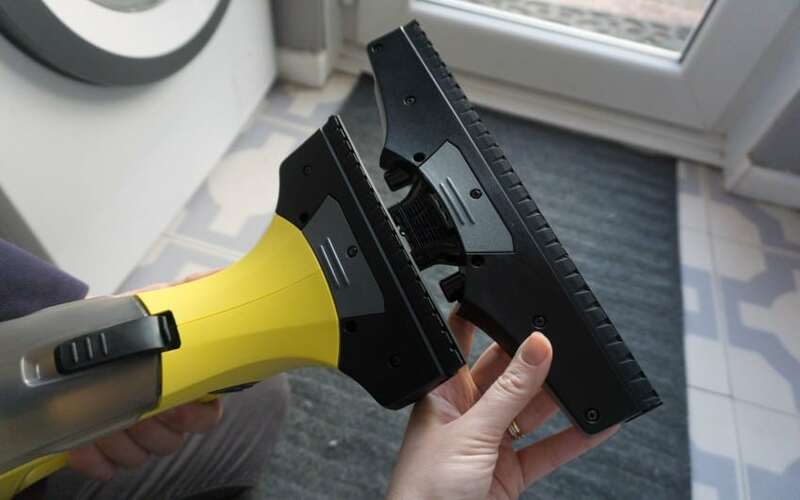 The Karcher WV5 Premium Window Vac is the top window vac in their range, with the additional extra of a rechargeable removable battery, so you can charge on and use one. Also great if you have a large house with lots of windows to do. Each battery gives you 35 minutes of run time, and a charging time of 135 minutes. If you have a conservatory, or tall windows they also do an extension pole to reach those trickier areas. The Karcher WV5 Premium Window Vac performed really well, it took a few times to get the hang of the technique, what size area to do at one time and how to hold it. 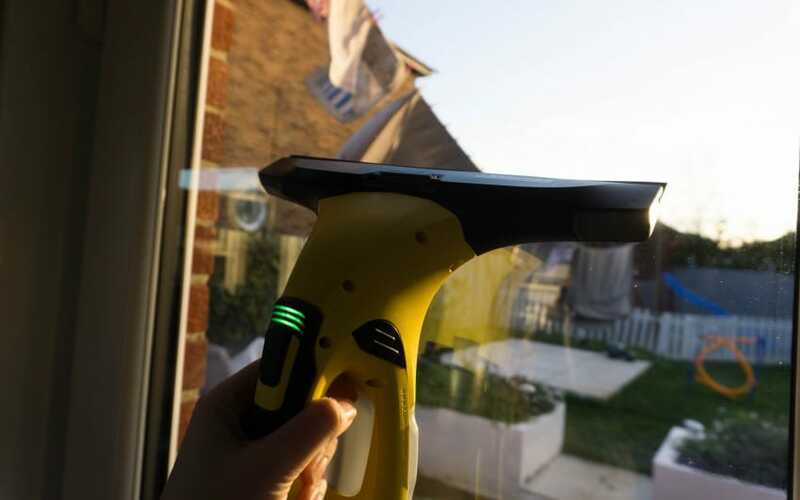 You can also manually adjust the edge tool, this determines how close the Karcher window vac goes up to the edge of the window. So make sure you have a play first, and adjust it to your home. I can’t tell you how tricky it was to get photos of a glass door with the sun shining!! Take a look at the video if you want to see it in action. We have also used it on our mirrors, shower door, inside windows and outside windows. I comes with a smaller head attachment too, so you can do smaller windows which is perfect for fanlight windows. I was really impressed by how well it cleaned the windows, they were left clear and shiny and it was such a quick job too. We have a very large window in our lounge and we cleaned it in super quick time. Sounds and looks pretty cool. Will have to try this to clean my windows. I was really looking for this. Thanks for sharing Steph. This really looks like a nice and easy cleaning tool, without the hassle of a charging cord to maneuver around. Plus the bonus of it holding a 35 minute charge sounds great! And it easily cleans those windows and mirrors so perfectly and streak-free. As a person who’s not fond of taking hours to clean, this seems perfect for me! I don’t enjoy cleaning windows. I never get them done properly. Great review here. I’m glad I’m not the only one!!! Oh the sticky fingers! Drives me potty!! Super quick too, must tell Daddy!! I think I might have to keep it in the bathroom for the shower! This looks like the perfect way to make a dreaded chore a little bit simpler and *maybe* even slightly more enjoyable? I love that you can also use it on mirrors! I can’t usually get hubby cleaning but this is got it straight out to clean the mirror!! Lovely review. This looks like a great idea. My windows are ready for cleaning and this looks perfect for the job. Thank you, at least mine are clean for Christmas now! This looks brilliant! My windows are always in such a state and I hate it! But I hate cleaning them just as much. I think I need one of these. I tried to convince my husband to get one of these but he said we don’t need one as we pay a window cleaner to clean our windows. It would come in so handy though as I’m forever being lectured by the window cleaner that he can’t see what he’s cleaning when the inside of the windows are so dirty. Haha! Yes it’s the inside that is my problem, we have a window cleaner that comes but I get so embarrassed about the insides!! Yes I hate it when the window cleaner comes and does the outside as it shows how dirty the inside are!! Yeah works a treat on my dogs slobber!! My hubby really liked it, so was a hit with him!! Yes this would be a lot easier!! What a great tool! I need to get one of these I think as our windows could certainly do with a bit more shine! They certainly have that now! 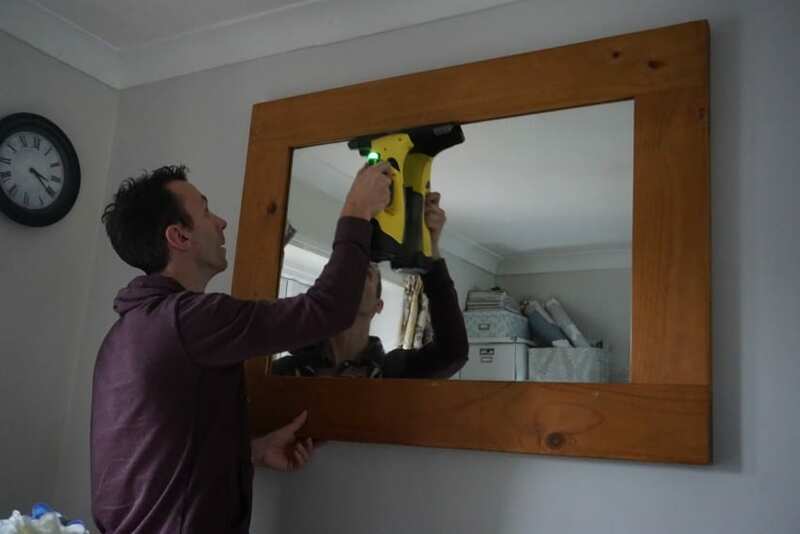 Great review of Karcher wv5 premium window vac. The attached battery and the additional battery have same power, that means the removal battery’s running time and attached battery’s running time is same ( 35 minutes ) ? 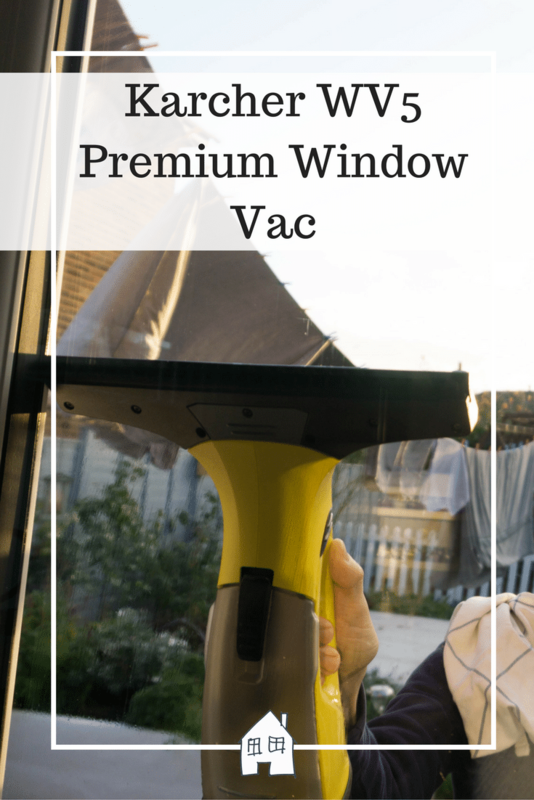 Can the WV5 Premium Window Vac save my time when cleaning smooth surfaces such as windows, shower screens, mirrors, and spills, leaving you with a sparkling clean, streak-free finish? Thanks, yes it is perfect for cleaning those types of surfaces, it says 35 minutes for each battery.